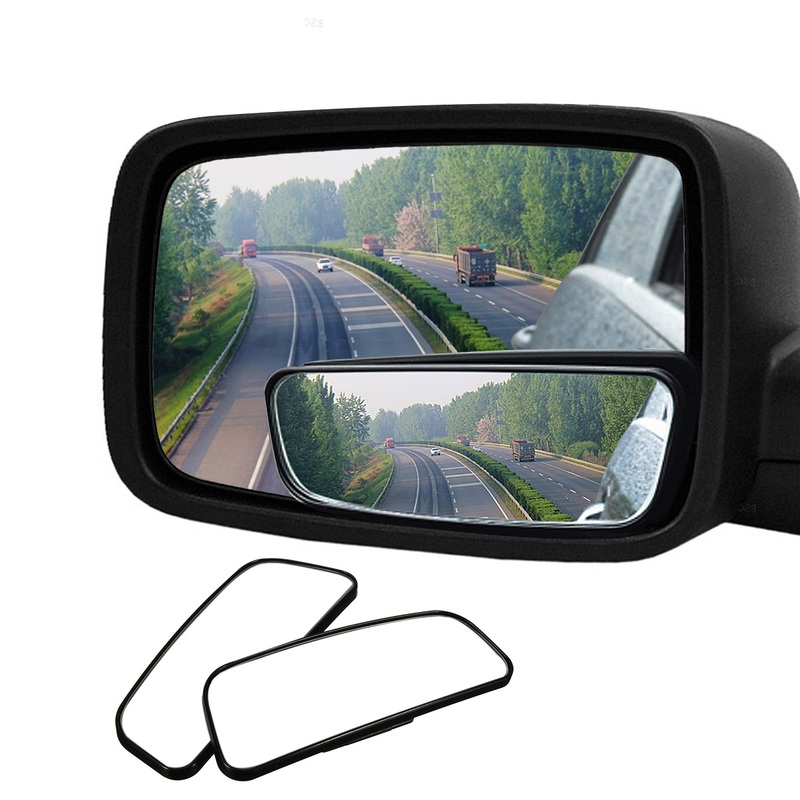 Small blind spot mirror, will not affect the mirror reflection of the road, but also clearly see the existence of blind spots of the security risks, improve their safety and car, so that their travel do not worry! How to install these mirrors? Step 3) Remove the paper covers from the adhesive backing of blind spot mirrors, lightly mount one onto the exterior side mirror in the pre-determined position. Once properly positioned, apply moderate pressure on each total side mirror for approximately 20 seconds to securely attach. Awesome blindspot mirrors. And I love how they rotate! Great and sturdy, good adhesive. Make sure u use a ball of regular tape to figure out where u want it first, then stick it on to, cuz the adhesive is REALLY STRONG. easy to install I like the way it swivels for a better field of view. These cured my "blind spot" issue with my car. Easy to install and look fine. Works great. Everyone should have these on their car!